Just take a look on the iTunes app store, search for voice recorder and see just how many voice recording apps are out there, hundreds. So which ones are worth a look at? We will split the category of best digital voice recorder app in two; best free and best paid app. We have tried quite a few digital voice recording apps and here are our pick of the ones we like and why we like them. If you have a favourite please comment and tell us all about it. Before we start just a word of caution. We all love our iPhone and iPads and it does tend to feel that they can do anything, kind of like the superheroes of the gadget world. What we have found is that iPhones and iPads can record one person dictation and small groups (one-on-one interviews and small meetings) really well. Larger meetings, conferences and lectures then it does tend to struggle (unless the audio is very loud and clear in the room). So for these scenarios a digital voice recorder would be a handy addition to your laptop bag. This app is excellent and has been well thought out, looks great and is easy to use with virtually no learning curve to get it recording. 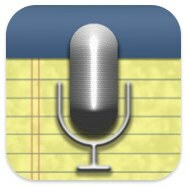 If you need a digital voice recorder app which also doubles as a dictaphone for your iPhone then PocketDictate is the one to go for. Many people familiar with digital dictation and transcription will know that NCH wrote one of the most commonly used transcription software programs worldwide, Express Scribe. Both the .wav and .dct audio formats created by PocketDictate are compatible with Express Scribe so if you use a transcriptionist or transcription service to process your digital dictation you can send them either file format. We recommend the .dct audio format if you plan to email your audio as that format tends to produce smaller sized audio files. To beat PocketDictate in the paid voice recording app category you are going to have to do a bit more than just record audio. This is where AudioNote steps in as my favourite paid audio recording app, why? Because the developer has really thought about what else you normally do while recording interviews and meetings and that is take notes or if the meeting is really boring, doodle. What is really clever about the notes you write or the pictures you draw is that your jottings are linked with the recorded audio. When you play back your audio you can simply touch on your notes and the audio plays back from the exact time you wrote the note (or drew the doodle). 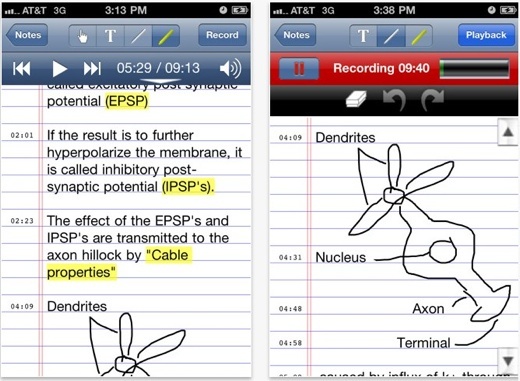 It is the app equivalent of the LiveScribe SmartPen but at a fraction of the cost. For that reason deserves to be crowned our best paid iOS voice recording app which isuniversal app. Works best on the iPad only because of the larger screen real estate to take notes using either the keyboard or with a stylus. 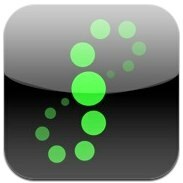 So there you have, two excellent digital voice recording apps that stand out from the crowd. Agree with the features and ease of use of Pocket Dictate. 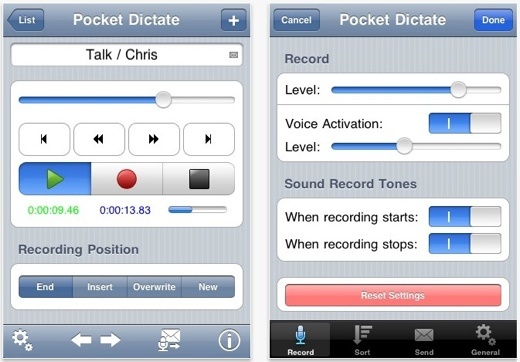 Its dictation features make it stand out from the hundreds of basic voice recorder apps for iOS. I use it all the time to capture thoughts and ideas on my iPhone.